I’m starting to feel like someone is spying on me, noticing how hard I can be on myself for falling short in one area or another because targeted messages on the dangers of perfectionism seem to be coming at me from every angle. It’s like when I send emails, search a particular topic on the internet or buy something online, and then suddenly I get Google and Facebook ads related to those exact topics. I hate being watched and monitored so closely. In Church, we talked about perfection and how expecting to become perfect “at once” leads to disappointment. “Be better today than you were yesterday, and be better tomorrow than you are today,” we were taught. 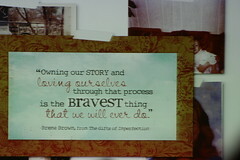 Then, another email arrived from Oprah about Brene Brown’s “Four Totally Surprising Lessons We All Need to Learn.” http://www.oprah.com/spirit/Life-Lessons-We-All-Need-to-Learn-Brene-Brown. It quoted the same poem about perfection I’d read in the writing group email. According to Brown, research shows that perfectionism hampers success and often leads to depression, anxiety, addiction and missed opportunities, due to fears of putting anything out in the world that could be imperfect or disappoint others. “It’s a 20-ton shield that we lug around thinking it will protect us when, in fact, it’s the thing that’s really preventing us from taking flight,” she said. I don’t believe I’m a perfectionist. I’ve never cared about being perfect. I’m fine with my cracks. But, then I thought more about those three words: please, perform, perfect. I realized that while I don’t expect to be perfect, I do expect to improve and get better. I’m learning there’s a fine line between obsessing over being perfect and feeling driven to be better. If we’re not careful, they end up being the same thing and putting us into the same destructive cycles that create feelings of never being good enough. Because of my health history, it is vital for me to diligently take care of myself. Those questions never lead me to a happy place. They only lead to frustration, disappointment, and insecurity. So, I try to concentrate on improving my behaviors. I tell myself to forget about being perfect in this area because it’s impossible. I want to be happy doing what is best for my health even if nothing changes. It requires me accepting that I am a cracked pot — you know, the flawed pot that couldn’t hold any water and the water leaked out through the cracks while being carried by its owner from the creek? The poor little pot hated its cracks and wanted to be perfect like the other pots around it…until it notices the flowers that sprung up on its path. 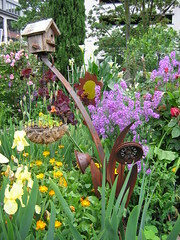 Everywhere the pot was carried there was a trail of beautiful flowers. This has to be one of life’s toughest lessons because it means we can’t stop trying to improve even though we don’t see progress being made. A little self acceptance may sooth my feelings about all my cracks. I’m hoping that if I give myself some slack, I’ll notice the flowers I’m watering along my path without even realizing it. Have you ever done something you thought was brave and exciting, and then recoiled in regret because you felt like an exposed nerve? 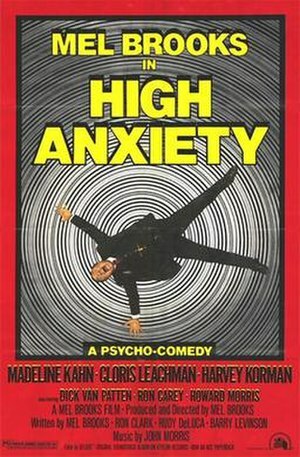 Mel Brooks “High Anxiety” movie comes to mind. I experienced this kind of high anxiety a couple of months ago when I sent query letters to literary agents. I stepped into an unknown arena to try something new. The minute I hit the send button, I seriously had a seismic panic attack. Every flaw in the book suddenly flashed in my mind in glaring high-resolution. I yearned for a reset button that could erase the entire day and every last email. Doug stared at me, baffled by my anxiety, especially because many agents expressed interest and wanted to see either parts of or the entire manuscript. “Isn’t this what you’ve always wanted?” he asked, totally perplexed by my racing pulse. I didn't realize how desperately vulnerable I would feel having so many agents reading and critiquing a manuscript I knew wasn't perfect. And, I couldn't control anything after I hit that "send" button. They could hate the book, detest my writing, criticize my family, my religion, me, my life, my values, and everything from my sentence structure to my hair color. Everything that matters to me was on the line. Talk about an epic fail! Brené Brown, the author of Dare Greatly, calls these feelings of embarrassment and regret, "vulnerability hangovers." When I stumbled upon her book and read that description, I immediately glommed on it. The book title, “Daring Greatly,” comes from Theodore Roosevelt’s speech, “Citizens in a Republic,” given in 1910. Writing a book and taking the first step toward getting it published was my attempt to “dare greatly. In the book, Brown asks, “How do we learn to embrace our vulnerabilities and imperfections so that we can engage in our lives from a place of authenticity and worthiness? If we go through life trying to protect ourselves from feeling vulnerable, what do we get? If we don’t take some chances, we end up with very little that really matters to us. If we can’t love because we’re afraid of being hurt, won’t write because we might get rejected; or refuse to go for the job we really want, or not run the race because we might come in last, we are living in a place of fear. We might believe we are choosing to feel safe, but we are really choosing to live a life void of passion, energy, and exhilaration. After giving myself this little “be strong, have courage, try things” pep talk, my anxieties have mellowed. My vulnerability hangover has eased. My perspective is clearer. I still wish I had hired a professional editor to help me strengthen that story arc, but I’ve gathered my senses again. 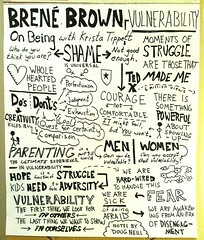 Thank you Brené Brown for helping me see that writing a book, sending it to agents, receiving rejections and suggestions for improvement do not add up to failure, but represent my effort to walk into the arena, show up, let myself be seen, and dare greatly. And, I know what I need to do better in case I ever try again. 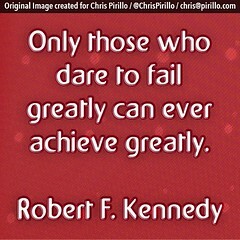 How are you daring greatly? I’d love to know!